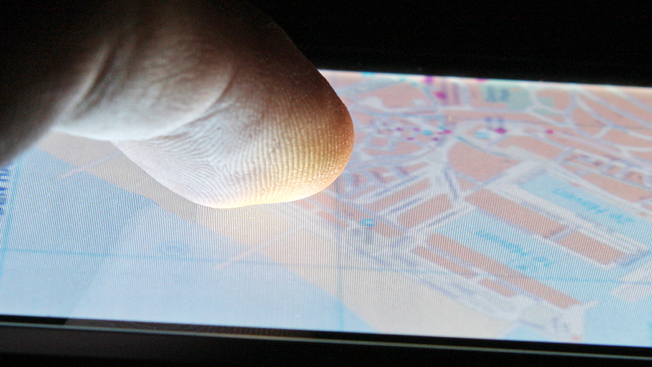 Are Marketers Finally Getting the Hang of Location-Based Mobile Ads? Until recently, location-based advertising has remained a small part of mobile ad budgets, primarily because it's difficult to pinpoint the exact person with the right type of ad on the fly. So, it was interesting that during an Advertising Week panel this morning about programmatic advertising, Essence digital agency and mobile advertising company xAd talked about their recent work for Google's search app (which also won Adweek's Media Plan of the Year award) as an example of how some initial hiccups led to successful place-based mobile ads. To promote Google's search app, Essence ran a campaign that pulled in 23 bits of custom data—including weather, time, location and photos—for each ad impression to show how Google search results are personalized to particular users. According to Essence, the campaign generated a 53 percent engagement rate and boosted brand awareness by 9 percent. That said, it was also the first time Essence ran a campaign pulling in multiple pieces of data in real time, causing plenty of logistical problems early on. For example, just because the campaign was targeted toward cities including London, it didn't mean the ads were actually served to people in London. With those learnings under the agency's belt, Christina Yoo, associate programmatic media director at Essence, talked about how a new version of the location-based campaign is now using better targeting tactics alongside programmatic buying. "In the beginning, one of our biggest problems was getting accuracy at scale," Yoo said. "We want to have these perfect [location-based] experiences for the individual, but we also want to make sure that the information that we're getting is accurate." After blanketing Google's ads based on a phone's latitude-longitude, the Essence and xAd teams drilled down into specific groups of consumers, targeting the ads by polygons—mapped plots of land—and mini data profiles about consumers. The mobile promos were also bought through programmatic private marketplaces. Yoo told Adweek after the panel that Google's 2015 campaign "won't be about just about one individual's location, but figuring out ways that we can scale that kind of targeted approach." It's a common problem that many marketers with location-based mobile advertising have dealt with, though Yoo's comment suggests that marketers are getting smarter about their mobile campaigns. "We started broad and eventually started to do more interesting things over time," added Jeffrey Goldstein, xAd's director of programmatic. Part of the reason why advertisers are struggling with place-based mobile advertising is because marketers aren't looking for data outside of apps, which have built-in location metrics for brands to measure against. "When you are bringing these locations together, when you're trying to target people in real-time based on where they are, you have to go beyond that [app] signal," Goldstein said.